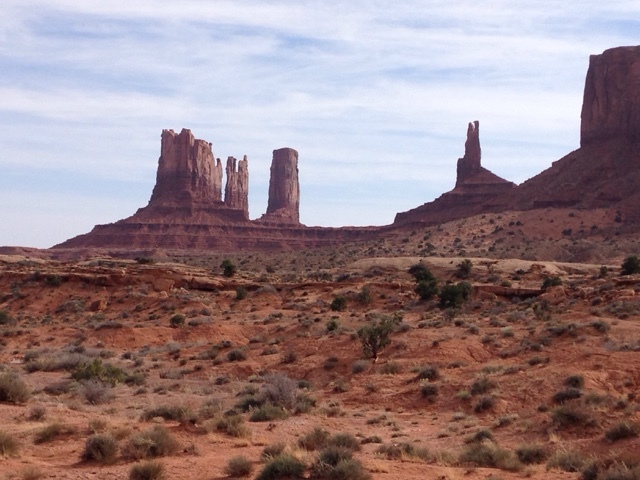 Today is Wednesday, 3/16/16 (Day 73) and after a Glen Canyon Hike. 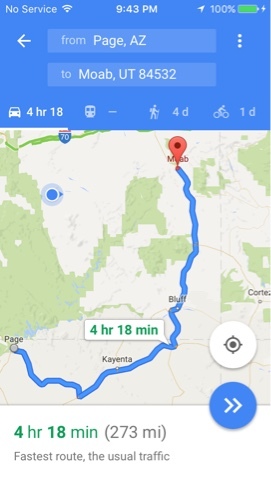 (see below) Then it was 273 miles of driving across northern AZ in the Navajo Nation, then heading north to Moab, UT for more adventures. First thing in the morning was a hike to Hanging Gardens in Glen Canyon. The hike is not on the app I use, AllTrails. It is a National Park hike just south of the dam that takes you out about a mile to these north facing ledges (picture above) that get very little sun so there is generally good moisture. 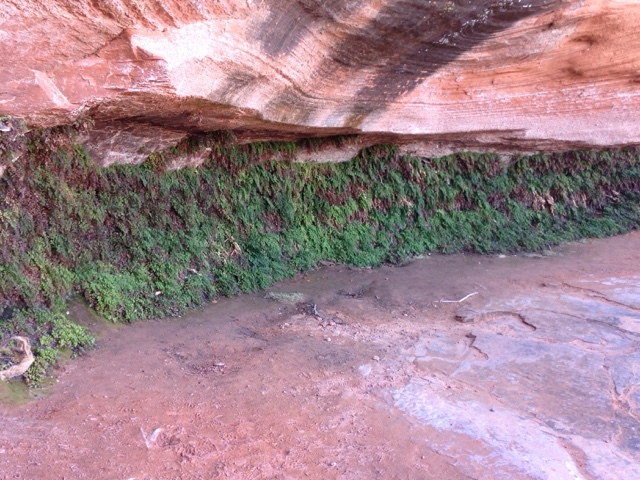 These plants grow in the moist overhang. 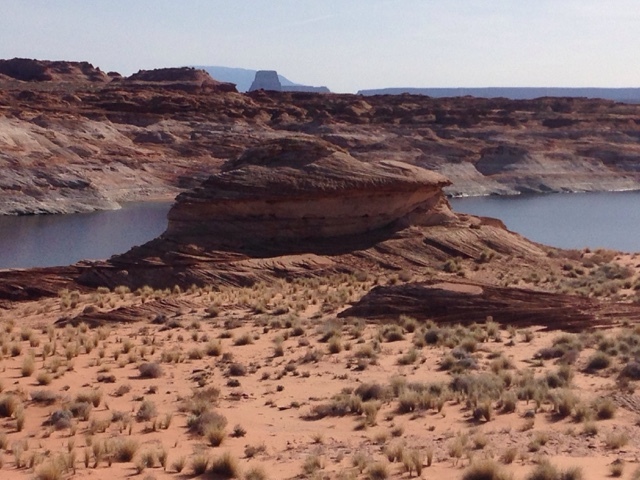 The a Hanging Gardens hike being a bit short extended into an off trail overland hike to view Lake Powell. This took the 2 mile hike into about 4 miles. 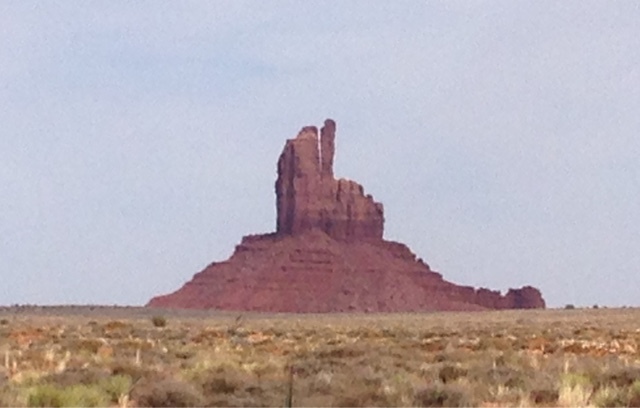 After some McDonalds time for iced tea it was now time to drive across the Navajo Nation and pass Monument Valley. The pictures above were taken from US163. 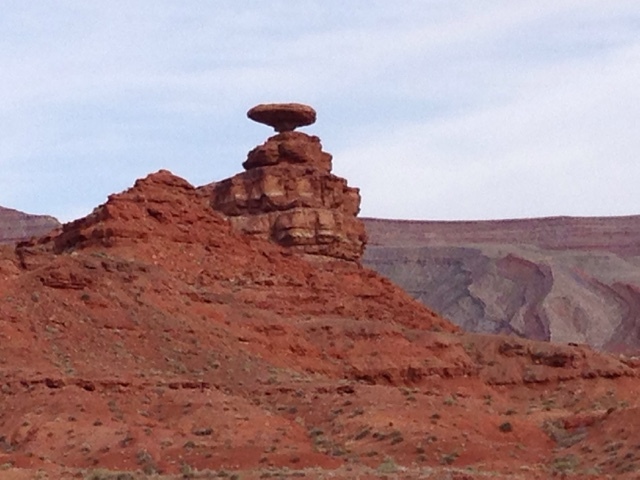 My travels took me north past Mexican Hat, UT named for the rock formation in the picture sbove. Now in UT it was a pleasant drive past a number of small towns that I have not been through before. 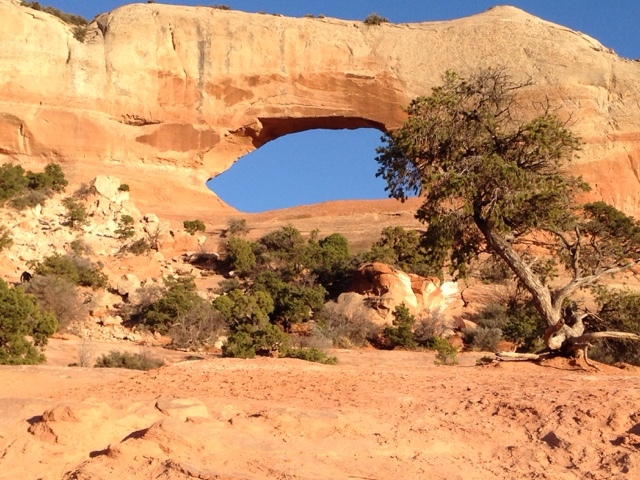 About 24 miles south of Moab along the side of US 191 is Wilson Arch. This arch was a new stop for me as I had not been past this arch before during my visit to Moab. My timing was great as I got into Moab while it was still afternoon although sunset wasn't too far off.